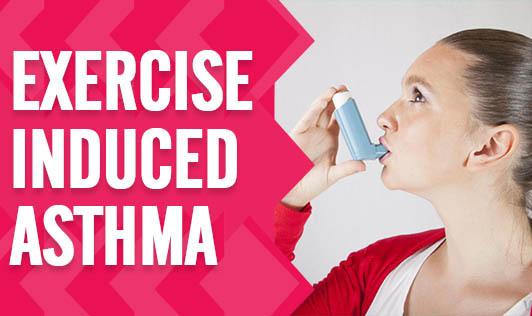 Exercise-induced asthma is triggered by prolonged or vigorous exercise or physical exertion. Many people without chronic asthma develop symptoms only during exercise. If you experience any asthma symptoms when exercising, it does not mean that you cannot or shouldn't exercise. With appropriate treatment and precautions, you can still be active. The cause for Exercise-induced asthma isn't clear. This may begin a few minutes after you start exercising and then continues to get worse for another 10 minutes or after you have finished working out. Hence, it's possible for you to have symptoms before and after exercising. Seek immediate medical help if your symptoms are getting worse!